Sad to see this, another developer hitting SteamOS-specific issues where Valve didn't approve the Linux build. This time it's the free RTS Zero-K. Unfortunately, we have been unable to produce a Linux build that passes all the Steam quality control tests. We have decided to release without Linux as the alternative at this point is to delay the release for some unknown length of time. The standalone installer still works and syncs with online multiplayer so it is not like we are dropping Linux completely. We aim to add support after release. This would be helped along by linux testing and support from within the community. Reading further into it, another developer commented about it being specifically SteamOS "The problem was with SteamOS big picture mode where the window would never show.". For now, if you just want to play it you can grab it from itch.io. If you feel you can help them solve their issues, do let them know in this Steam forum post. Would be great to see it get proper Linux support on Steam, it's a really fun game, especially for those who like the more traditional base-building and large army strategy games. Steam has got quality control tests? WHERE WERE THE TESTS DURING GREENLIGHT AND STEAM DIRECT!? RTheren Steam has got quality control tests? If they at least test if the game works that would be good. But i recall a few shovelware/asset-flip titles that wouldn't even run. Will definitely grab it on itch.io. Thanks for the heads up on that. Would say I was disappointed in Valve, but this is sadly par for the course. Would the adoption of Flatpak by Steam mitigate this sort of thing from happening? 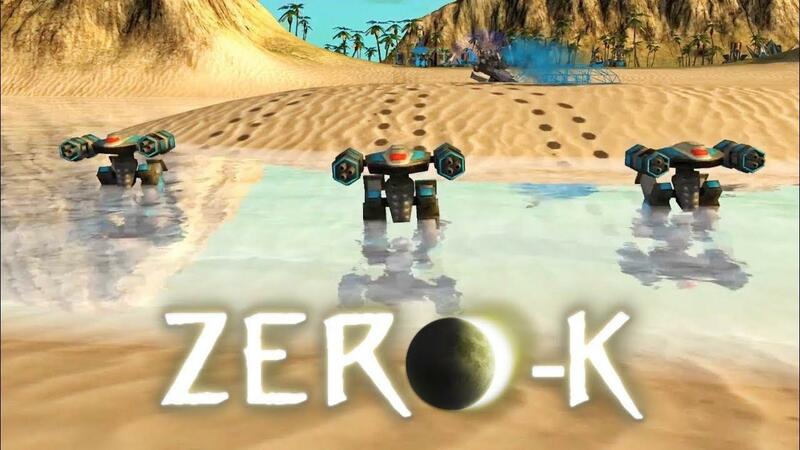 "Hello you (insert some equally phantasmagorical and funny description, Jim Sterling here and this is...."
Wow, zero-k looks really nice. I am a big fan of RTS and never came across this, unbelievable! Will definitely check this out in more detail. I only did the first tutorial so far but I am already addicted to the line move - not sure I can ever go back to an RTS which doesn't support this (SC2 anyone? ).